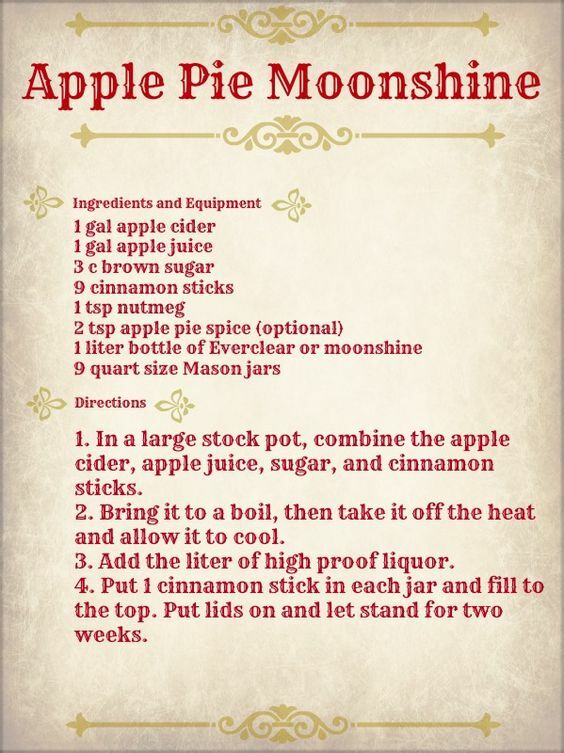 How about some yummy Apple Pie Moonshine to keep you and your honey warm around the bonfire this Fall? It’s easy enough to make this (very) adult beverage. Again, this is NOT for the kids – this is strictly for those over 21 and with a DD (that’s Designated Driver). Just fix it up and serve in mason jar glasses. Read to make this delicious concoction at home? 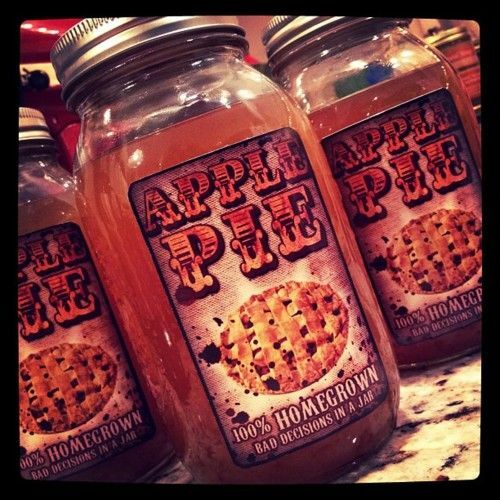 Yep, that’s a whole lot of BAD decisions in one little mason jar…lol!